A man who lives for human cause, the American Civil Rights activist, Jesse Jackson is reputed to be one of the best politician and social activist in the history of America. Jesse Jackson served in various capacities in the US politics. Jesse Jackson speeches were memorable and so influential that people flocked on in large number to hear his speeches. As a human being committed to his family, Jesse Jackson quotes highlights the importance of parents in their children lives. Jesse Jackson quotations urge and encourage the people to believe in their heart and mind and strive hard to achieve success. "Leadership cannot just go along to get along. 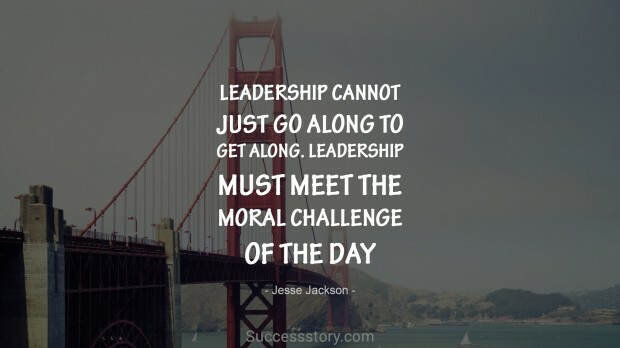 Leadership must meet the moral challenge of the day."